Ok, I know I have a thing about black and gold, but it really is so pretty and looks so good anywhere in my opinion. 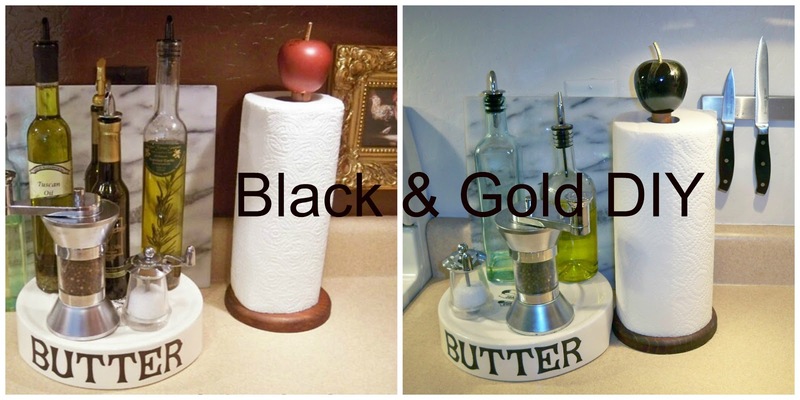 I have been trying to add a few more black accessories to my kitchen and of course with a little gold it makes it even better. 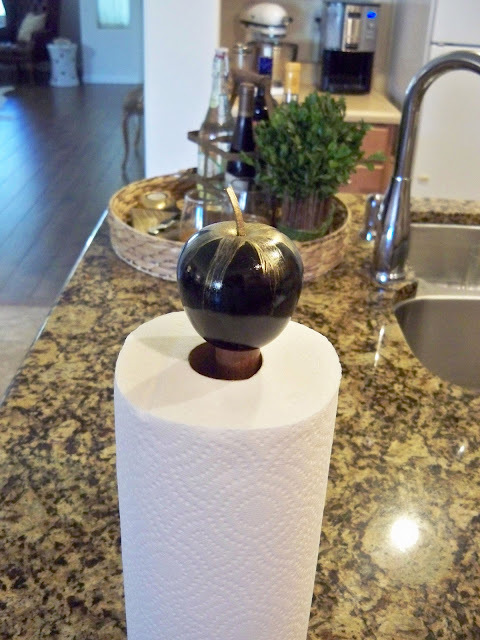 We all need a papertowel holder and there are a ton out there, but nothing with a lot of personality and I didn't find a thing in black and gold. So I decided I could makeover the one I have. I have had this one for years and years. It has served me well and the apple is cute, but I want something a little more chic. So I decided to paint the apple. 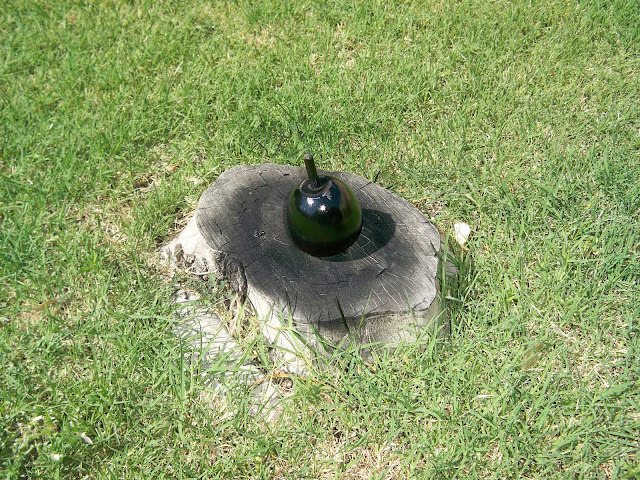 Super simple, just out to my stump in the yard and a little spray paint. Then a few touches of gold paint. Ok, now I am loving this better. Isn't it funny how such a simple change can make a difference. I love the transformation. I looks beautiful in your kitchen. I hope that you have a wonderful weekend!!! That is cute! Very chic! Would u tell me about your knife magnet please? How is attached...to the wall?backsplash? Is that a glass backsplash? Thx!!! 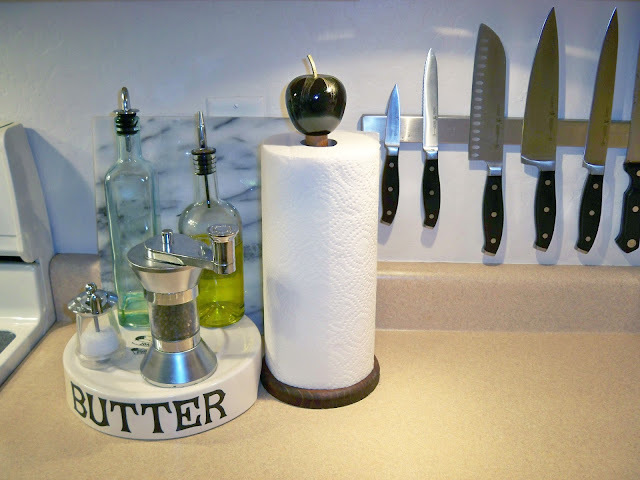 No backsplash. It is attached with screws and anchors into the sheetrock. Then the magnet strip just fits over it. I found it at Ikea, they have several sizes. I bought the smallest. I love it!!! It is perfect. Can't believe you thought to do this. Oh, Marty, you really did transform your towel holder! 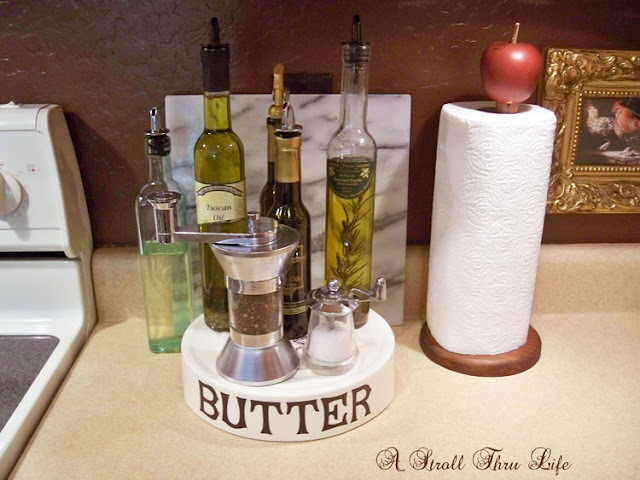 I just love it and I love the new look of your kitchen too! Thank you so much for popping in to see me. Big difference...it's always the little things! Happy Thoughts of Home friend. Marty- this is such a chic idea! you are so creative. Very clever Marty! 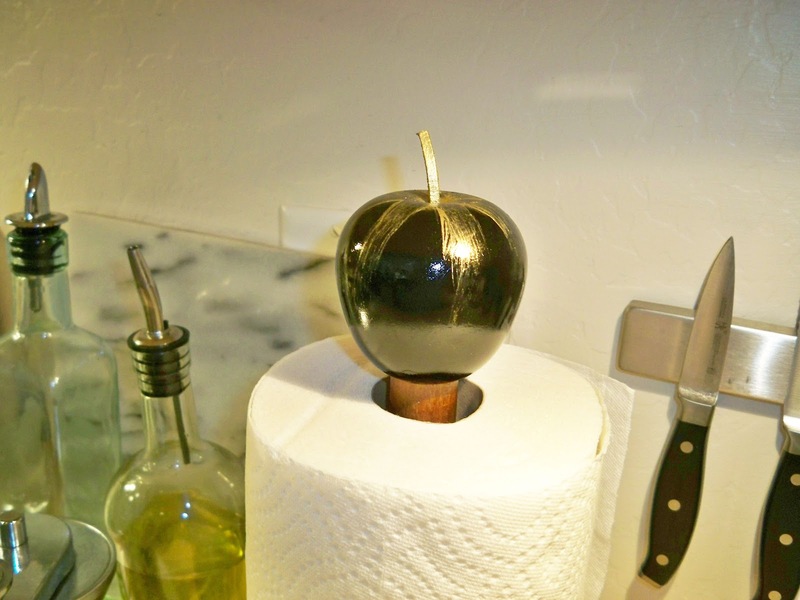 I love the way you added gold to the apple! What a difference! Great transformation and very "chic!" With all the talk and use of chalk paint, spray paint may still be "King!"